For 25 years, we have been working to offer you peace of mind! Here is a brief overview of our history and achievements. At Qualicode we understand the impact that the implementation of high performance software such as Maya Suite can have on the day-to-day management of your operations and the profitability of your business. Our mission is to help you achieve, and even surpass, your performance goals. Plan complex schedules and travel for field employees. Save money by streamlining operations. Increase efficiency through integration of your business and communication tools. 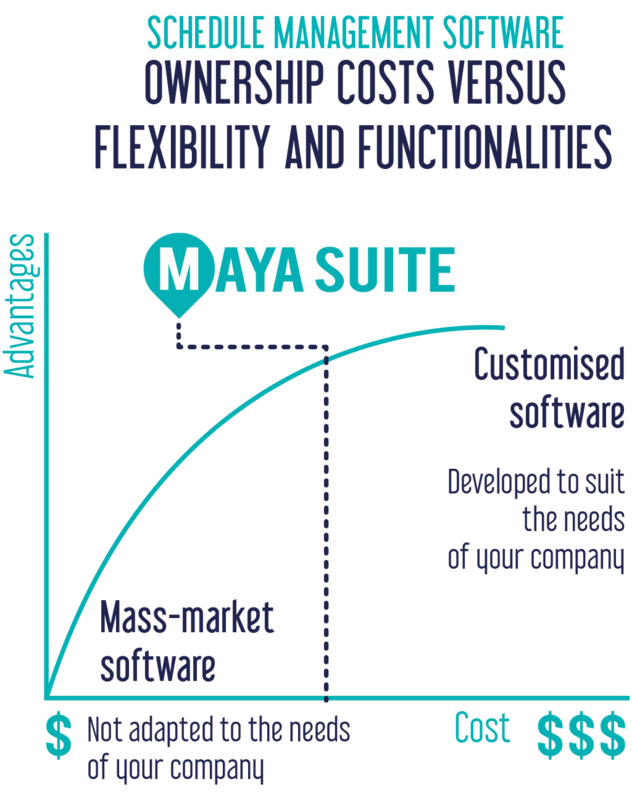 Midway between consumer software such as Microsoft Office and a custom built program, Maya Suite offers you the best of both worlds … affordable flexibility! At all stages of your project, our expertise is at your service. We offer advice and guidance adapted to your unique needs. Here is our dedicated team! They always make sure that everything is in place in order to ensure your satisfaction.